And now for an experiment in novel research and crowd funding! I’ve been to every location in the first two Lexy Cooper books Schooled and Pwned. Granted, they weren’t all that exotic–just Los Angeles in Schooled and Vegas in Pwned. But in the third book, due in early 2014, the most important part of the story–the climactic ending–takes place in Roswell, NM, a place I’ve never visited. So, I’m planning a research trip to check out the town, the vibe, the locals, and the former Walker Air Force Base. Right now I’ve got an IndieGoGo campaign to fund the Roswell trip, and I think the perks are very fun. More than half of the Xenon Executive slots (perks are digital copies of all three books, a character based on you, signed paperback of Schooled,etc) are already gone, so if you’re interested, take a look. I appreciate support at any level. And if any of you have tips on what to see and what to avoid in Roswell, please let me know. This campaign was fully funded about an hour after I made this post. 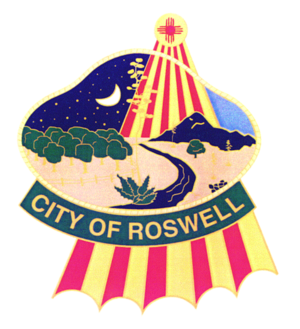 Roswell is happening! So now what do I do with the 55 days remaining in the campaign? Well, since the Have-A-Character-Named-After-You “Xenon Executive” perk sold out, I’ve added ten more identical perks called “Chief of Detectives.” I’ve also added what basically amounts to product placement: the “Board of Directors” perk in which I will write a donor’s business, product, website, podcast or…whatever into the story of Lexy #3. I put real restaurants and bars into my books all the time–let’s see if anyone wants to pay for it. “But Trixie! You’re fully funded already! What will you do with the extra scratch?” I’m glad you asked, dear reader. For I shall use the funds beyond the initial $1000 to pay the artist to create the book cover! Thank you to all the fantastic patrons/donors/angels/awesome people who made this experiment in reader funding a huge success!